In our uncertain world we often see or hear things that can cause us to become fearful or anxious. 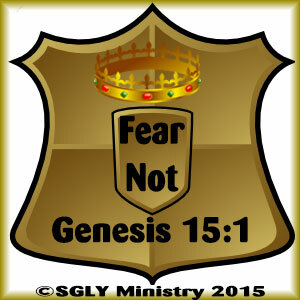 Yet, all through scripture we see God telling us not to fear or not to be afraid. Let’s memorize some of those scriptures so that we can call them to mind in our time of need, and encourage ourselves that God is always near and we have no need to fear. 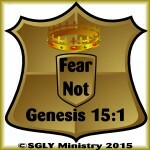 God was telling Abram not to be afraid because He, God, was Abram’s shield and exceeding great reward. A shield protects. An exceeding great reward encourages and uplifts. 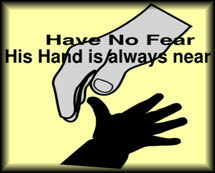 God was telling Abram to have no fear because He, God, was everything Abram needed. I believe God is saying the same to all of us who believe. Many times scripture says God is our shield and He that will reward those who trust in Him. Let’s memorize this verse as a reminder to ourselves to “Fear Not”, for in Christ, God is our shield and heaven is our exceeding great reward.